The Emirates Red Crescent (ERC) inaugurated ‘Sheikh Zayed Village’ in Mannar, Sri Lanka, to house families affected by natural disasters. 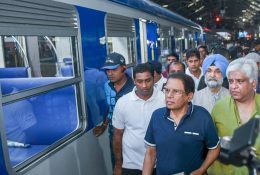 The train with most modern facilities named Mathin Nidahas Ratak – (Country Free of Narcotic Drugs) which will operate from Colombo Fort to Kankasanthurai as part of the National Anti Narcotics Drive left on its maiden journey from Colombo Fort at a ceremony held under the patronage of President Maithripala Sirisena yesterday (January 27) morning. The report compiled by the committee appointed to provide necessary recommendations for the reformation of Sri Lankan airlines is to be handed over to President Maithreepala Sirisena later today. Prime Minister Ranil Wickremesinghe says the government’s ability to create a common stance on the unitary state concept among all political parties was a major achievement. 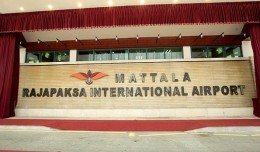 Sri Lanka is to give India 70 percent of the stake in the Mattala Rajapaksa International Airport (MRIA) in a move that appears to strike a balance with the Hambantota Port being given to China. In terms of a Cabinet Paper now being prepared for approval, the new deal is to be a joint venture between the Airport and Aviation Services of Sri Lanka (AASL) Ltd and the Airports Authority of India (AAI). 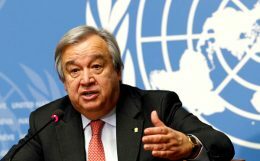 The UN Secretary-General, António Guterres, has strongly condemned the attack which led to the deaths of two peacekeepers from Sri Lanka and injured six others in Mali on Friday. 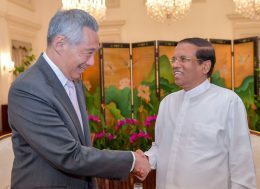 President Maithripala Sirisena who is on a two day official visit to Singapore held bilateral discussions with Prime Minister of Singapore Mr. Lee Hsien Loong yesterday (25th). There is a clear and definite conflict of interest between the duties and functions performed by the President and the duties and functions of Mahinda Rajapaksa in his capacity as Opposition Leader, said TNA Leader R.Sampanthan. 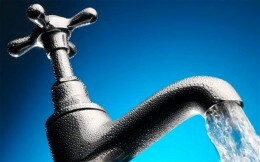 The National Water Supply and Drainage Board says a 24 hour water cut will be in effect in the Colombo District today owing to urgent repairs. The decision taken by the incumbent government to cancel the order for Airbus A350 is among the reasons for the Rs 40,000 million loss incurred by SriLankan Airlines, the report of Committee on Public Enterprise (COPE) has pointed out. 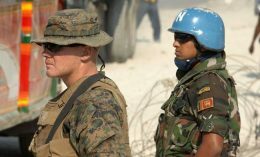 Two UN peacekeepers from Sri Lanka died and several were wounded on Friday in central Mali when their vehicle hit a mine, UN mission in Mali (MINUSMA) sources announced. 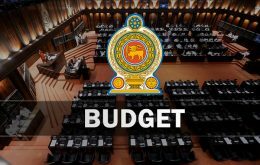 The Ministry of Finance and Mass Media today called upon all stakeholders including the general public to make their proposals for the Budget – 2019 before the 11th of February, as their contribution to ensure introduction of a successful budget. 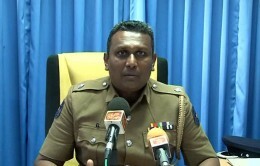 Police have identified 24 major drug smugglers who had left the country and action would be taken to confiscate their assets, Police Spokesman SP Ruwan Gunasekara today said. 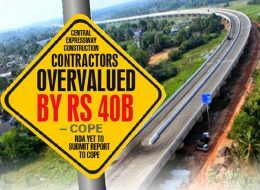 The cost of phases one and two of the Central Expressway had been overvalued by contractors by approximately Rs 40 billion, the First Report of the Committee on Public Enterprises (COPE) of the Third Session of the Eighth Parliament revealed yesterday (24). 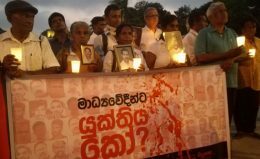 Sri Lankan rights activists, lawmakers and relatives of slain and disappeared journalists held a vigil over their abductions, killings and disappearances on Thursday, demanding the government expedite investigations on attacks on the media under the previous government.